The inaugural Airport IoT Summit takes place at the Grand Altis Hotel, Lisbon on the 12th to 13th November 2019. Prepare for the future at The Airport IoT Summit. At The Airport IoT Summit, we present an engaging mix of thought leadership and technical presentations, with real-world case study sessions, panel discussions, interactive roundtable debates, and facilitated 1:1 meetings, all set in an amazing 5-star venue. The Airports industry is entering an exciting digital age. 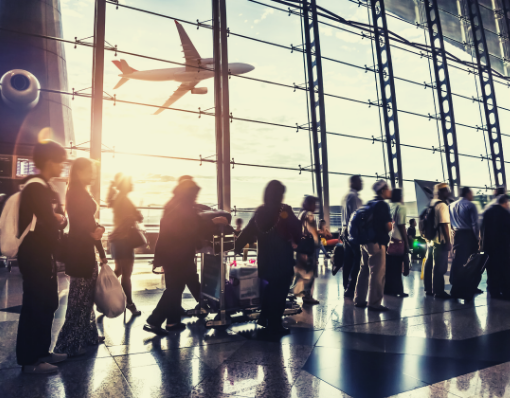 Discover how IoT, AI, Intelligent Automation, Big Data, Machine Learning, and Smart Cities technologies are now being actively applied within the airport sector to improve facilities management, optimise data security, inform the customer journey, aid customer relations, reduce OPEX and improve ROI across the board. Join us as we bring together 120 of the most influential airport industry professionals from across the world for two days of uninterrupted knowledge-sharing and networking, exploring how Internet of Things principles can be of benefit in an airport setting. Discover the strategies and technologies you need to take your IoT implementation to the next level.